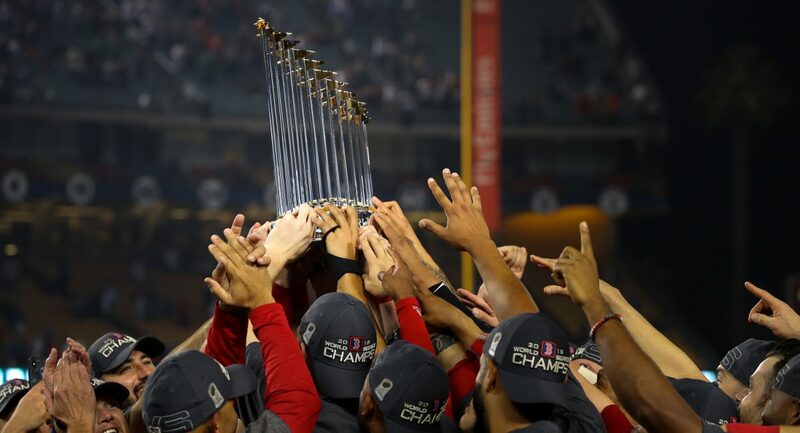 Exactly five months after clinching their ninth World Series title in franchise history, the Red Sox set out on the journey to defend that crown, starting with an Opening Day showdown against the Seattle Mariners at the newly-minted T-Mobile Park out in the Pacific Northwest. Getting the start for Boston in this one, as announced last week, was none other than ace left-hander Chris Sale. The new $145 million man, who also recorded the last out of that 2018 World Series against the Dodgers, did not have himself an Opening Day to remember in this one. Working just the first three innings on Thursday, Sale surrendered seven earned runs on six hits, two walks, and one HBP to go along with four strikeouts on the night. Three of those Mariners hits were home runs, with a pair coming from infielder Tim Beckham and the other coming from Edwin Encarnacion. Control was clearly an issue for Sale in his first meaningful start of 2019, and according to Statcast, the 29-year-old failed to induce one swing and miss when throwing his four-seam fastball, which he went to 25 times. Also using Statcast, Sale’s fastball topped out at 94.5 MPH in the first inning. His average fastball velocity on the night was 92.3 MPH, which incrementally decreased from inning to inning. Finishing with a final pitch count of 76 (45 strikes), Sale’s next start should come against the Oakland Athletics next Wednesday. Perhaps with some more innings under his belt after a fairly light spring, we’ll see a more improved Sale in his next time out. In relief of Sale, Hector Velazquez. Heath Hembree, Tyler Thornburg, and Brian Johnson combined to give up five more runs, four of which were earned, on six hits, two walks, one HBP, and five strikeouts over the final five frames on Thursday. Velazquez, who figures to take on a long-relief/spot start role this season, was responsible for three of those runs, with one of them coming on a Ryon Healy fifth inning solo homer. After loading the bases with one out in the sixth, Heath Hembree would enter his first contest of 2019 to try and escape the jam, but would give up an additional pair of runs on a bases-loaded walk and Eduardo Nunez fielding error. Both runs (one earned) were charged to Velazquez. From there, Tyler Thornburg’s 2019 debut didn’t go quite as planned, as the ex-Brewer allowed two more Mariners runs to score while serving up Seattle’s fifth home run of the evening courtesy of Domingo Santana. And finally, Brian Johnson, who should be starting Tuesday in Oakland if the Red Sox remain committed to a six-man rotation, had the best outing of any Boston reliever, limiting Seattle to just one base runner in a scoreless eighth inning of work. On the other side of things, the Red Sox lineup was matched up against Mariners left-hander Marco Gonzales to start things out in Seattle’s home opener. Entering Thursday having already made an official start last week in Tokyo, Gonzales looked fairly shaky early against the defending World Series champions. In fact, three straight one out first inning hits from Mookie Betts, Rafael Devers, and JD Martinez resulted in Boston’s first run of the season to cross the plate on an RBI single from Martinez. Just an inning later, a Mariners E3 that allowed Eduardo Nunez to reach first to leadoff the second allowed another Red Sox run to score, this one coming after Nunez had advanced to third and Andrew Benintendi had driven him in with an RBI sacrifice fly to shallow left field. So, with an early 2-0 lead, things were looking pretty good for the Red Sox, until they weren’t, because Gonzales got into a bit of a groove from the beginning of the third inning up until the sixth. There, Nunez was at it again, this time leading the inning off with a line drive double. After a Jackie Bradley Jr. strikeout and an apparent balk committed by Gonzales, Christian Vazquez came through with his first RBI of 2019 by pulling a double to left field, allowing Nunez to score. That run-scoring two-bagger would mark the end of the night for Gonzales, who was replaced in favor of fellow southpaw and ex-Red Sox hurler Roenis Elias. Matched up against Benintendi in his first action of the game, Benintendi won the lefty-on-lefty matchup, pulling an RBI single to right to drive in Vazquez. At the time, that cut Seattle’s lead to four runs, but as the final score of 12-4 indicates, the Mariners would go on a little run of their own to put this one out of reach for the Red Sox in their first loss of the 2019 season. The seven runs given up by Chris Sale are tied for the most he has given up in a Red Sox uniform. An ugly loss to be sure, but let’s not forget how Opening Day last year went with that blown lead in Tampa Bay. Compared to other teams, this Red Sox club had an atypical spring coming off a 2018 in which they played deep into October. It could take some time until we see this team at their full capacity. That’s what I’m trying to say. Eovaldi, entering his first full season with Boston, has only pitched at T-Mobile Field once before in his seven-year career. For Seattle, Kikuchi allowed two runs (one earned) over 4 2/3 innings in his first career start against the Oakland Athletics last week in Tokyo. First pitch Friday is scheduled for 10:10 PM EDT on NESN. Time to put that first win on the board. With Opening Day just mere hours away, Red Sox manager Alex Cora on Wednesday announced the starting lineup for his team’s first game of the 2019 season against the Seattle Mariners on Thursday. 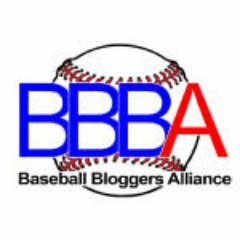 Cora announces his Game 1 lineup for tomorrow vs. Mariners: Benintendi LF, Betts RF, Devers 3B, Martinez DH, Bogaerts SS, Moreland 1B, Nunez 2B, Bradley CF, Vazquez C, Sale SP. To nobody’s surprise, Andrew Benintendi will be serving as Boston’s leadoff man for the majority of the season, as announced by Cora himself last December. In 97 career plate appearances batting leadoff for Boston, the 24-year-old outfielder, who is entering his third full big league season, is slashing .322/.381/.598 with seven doubles, one triple, five home runs, and 15 RBI. After Benintendi, Mookie Betts will be sliding into the two-hole, which was also expected. What may not have been expected is what comes next, with third baseman Rafael Devers getting the chance to bat in between Betts and JD Martinez. According to Cora, the third spot in Boston’s lineup will not be reserved for one specific hitter over the course of the season, with Devers, Mitch Moreland, and Steve Pearce also in the mix depending on pitching matchups. But, with Pearce currently on the injured list back in Fort Myers, it will go to the young corner infielder for Opening Day. Devers, 22, made his major league debut in Seattle back in July of 2017. And to round it off, it will go Eduardo Nunez, Jackie Bradley Jr., and Christian Vazquez, who of course will be catching Chris Sale in Game 1 of 162 on Thursday. Per Baseball Reference, Sale owns a 3.40 ERA and .643 OPS against in 53 total innings pitched over 11 outings with Vazquez behind the plate. He had been mostly working with Sandy Leon in his first three seasons with the Red Sox, but with Leon now off Boston’s 40-man roster, it will be interesting to see how the left-hander performs with Vazquez, or even Blake Swihart, serving as his catcher. Whether or not Vazquez will be Sale’s personal catcher has yet to be revealed, but I doubt that. Anyway, it looks like I’m going to run out of time to post a huge 2019 preview blog, but first pitch against the Mariners is scheduled for 7:10 PM EDT Thursday on ESPN. Get excited. After wrapping up the Grapefruit League portion of their spring on Saturday, the Red Sox made the trek out to Arizona to take on the Chicago Cubs in a pair of exhibition games before kicking off the regular season up in Seattle later this week. Facing the Cubs for the first time since 2017, Rick Porcello got the start for Boston on Monday. Working the first four innings, the right-hander surrendered two runs on four hits, zero walks, and one HBP to go along with three strikeouts on the evening. More importantly, Porcello avoided a serious scare in the second, when Cubs catcher Wilson Contreras ripped a comebacker that wound up glancing off the hurler’s head and landing all the way in shallow right field. Back to the game, one of the two runs given up by Porcello came on a third inning leadoff home run off the bat of Cubs starter Cole Hamels. Cubs pitchers are outslugging Red Sox DHs tonight. The other came later in the third on an Anthony Rizzo RBI double. After fanning the final two hitters he faced in the fourth with a pitch count of 53, the New Jersey native headed out to the Red Sox bullpen to get some additional work in and officially cap off his spring. If I were to guess, I would say we see Porcello make his 2019 regular season debut in Seattle this Saturday. From the top of the fifth inning on, Eduardo Rodrigez, Hector Velazquez, Matt Barnes, and Ryan Brasier combined to allow one run on two hits, three walks, one HBP, and six strikeouts over the final four in this one. Rodriguez impressed in a rare relief appearance Monday, punching out the dangerous Cubs trio of Kris Bryant, Javier Baez, and Kyle Schwarber while feauturing a nasty changeup in two scoreless frames. Barnes and Brasier, meanwhile, together tossed a perfect eighth inning, with each recording one strikeout. On the other side of things, as I had previously mentioned, the Red Sox lineup was matched up against Cubs left-hander Cole Hamels to start things out. Kicking off the scoring for Boston was Andrew Benintendi, who carried over the success he had in Florida spring training with a one out solo shot off Hamels in the top half of the third. That would put the Red Sox on the board and give them an early lead, but they were not able to do much offensively for the rest of night. One golden scoring opportunity came in the seventh, after Xander Bogaerts had already plated a run on an Eduardo Nunez RBI single to tie things up at two runs a piece. With the bases full following a one out Jackie Bradley Jr. RBI single, Blake Swihart, fresh off making Boston’s Opening Day roster, came to the plate with the chance to put his team ahead with some clutch hitting. A las, the 26-year-old backstop got on top of one from Cubs reliever Randy Rosario and grounded into an inning-ending 5-3 double play, thus killing the rally. After the Cubs re-took the lead with a run of their own in the seventh, the Red Sox would go on to drop this one by a final score of 3-2 in Arizona. Unrelated to the game, but it was just announced that first baseman Steve Pearce will be opening up the 2019 season on the injured list, presumably due to issues with his left calf. More on that Tuesday. Next up for the Red Sox, they’ll face the Cubs once again in the last game before they all start to matter on March 28th. Left-hander David Price will be getting the ball for Boston, while right-hander Kyle Hendricks will be doing the same for Chicago. First pitch at Sloan Park is scheduled for 3:05 PM EDT Tuesday.